Ninnaji is a large temple complex in Kyoto which is listed as World Heritage Sites. 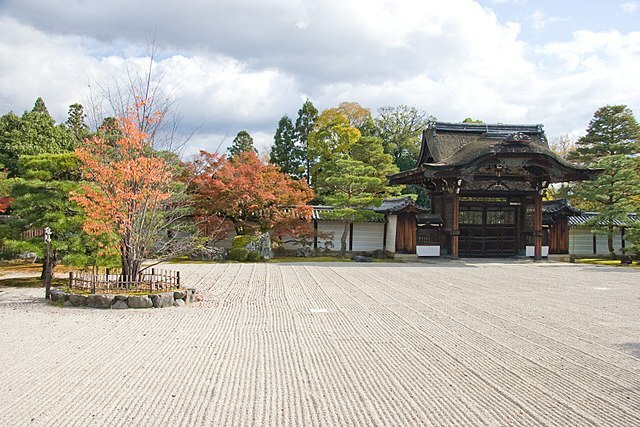 Ninnaji is the head temple of the Omuro School of the Shingon Sect of Buddhism, and was founded in 888 by the reigning emperor. Over many centuries, a member of the Imperial Family used to serve as Ninnaji's head priest, but the tradition ended in the late Edo period. 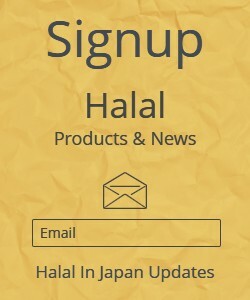 ​Due to the many wars and fires that ravaged Kyoto throughout its history, most of the surviving buildings are reconstructed and date from the 17th century. 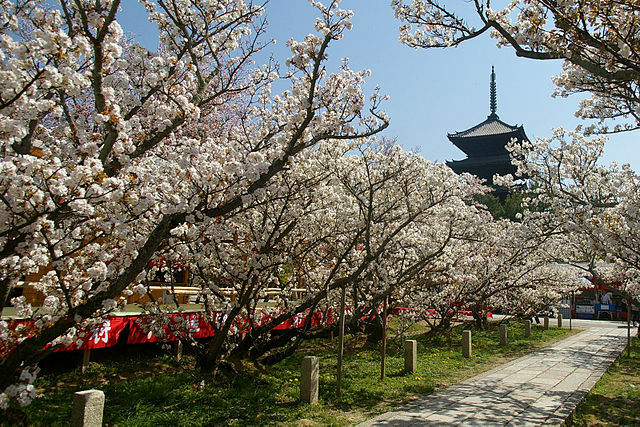 Admission to the grounds is free, allowing visitors to view the five-story pagoda, and an orchard of dwarf cherry trees which are always the last to bloom in Kyoto during early to mid-April. These late blooming cherry trees are called Omuro Cherries. 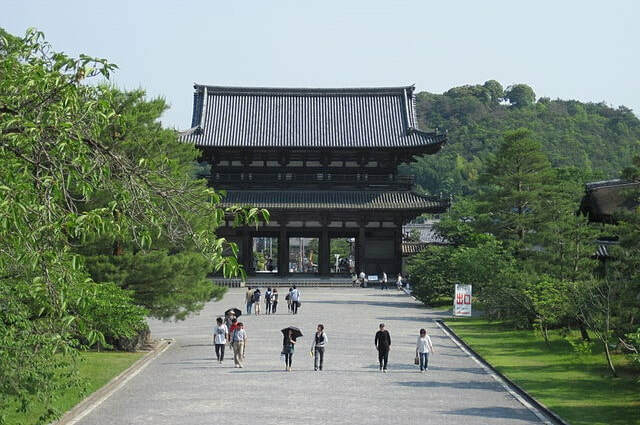 Except for a few weeks during the spring when the cherry trees are in bloom, Ninnaji Temple is largely deserted. That creates a wonderful opportunity for those who are interested in seeing the temple and its architecture. ​Inside the former palace building some beautifully painted screen walls are featured, along with a walled garden. The buildings are connected with each other by covered corridors, featuring elegantly painted sliding doors. 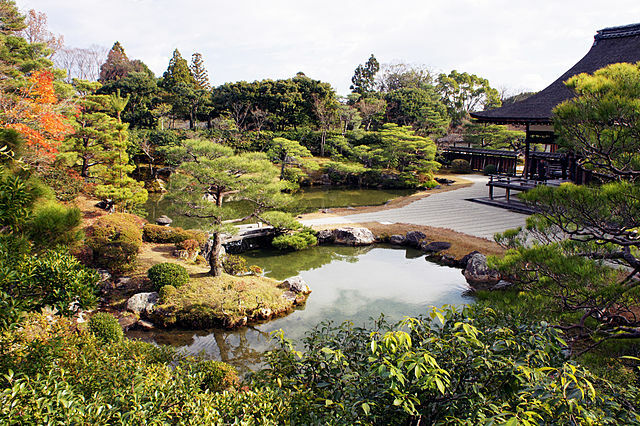 A visit to Ninnaji easily can be combined with a trip to nearby Ryoanji Temple which is about 10 minutes’ walk. From Kyoto Station take the City Bus number 59 to Omuro Ninnaji Bus Stop "takes about 30 minutes". Ninnaji Temple is a few steps away from the bus stop.